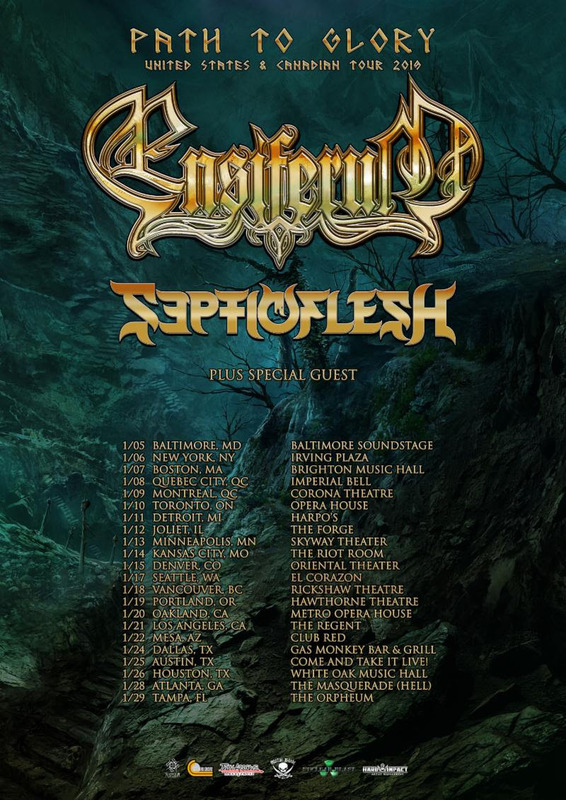 You can’t talk about the true greats of folk-inspired melodic death metal without reverent mention of ENSIFERUM, and with their latest album, Two Paths, they once more affirm their place in the pantheons of the genre. Further building upon the thrilling metallic hybrid honed across six full-lengths, Two Paths is the Finnish quintet’s most epic and far-reaching collection of songs to date as well as their most organic. The album debuted at #167 on Billboard‘s Top 200 Current Albums Chart, #19 on Billboard’s Hard Music Chart, #36 on Billboard’s Independent Albums Chart and #9 on Billboard’s Heatseekers Chart. In Canada, One Man Army placed at #69 on the Top 200 Current Albums Chart, #13 on the Hard Music Chart and #126 on the Digital Music Charts. On the Official Top 100 Charts in Europe, the record earned the coveted #1 slot in Finland, #15 Germany, #37 Austria and #24 Switzerland. 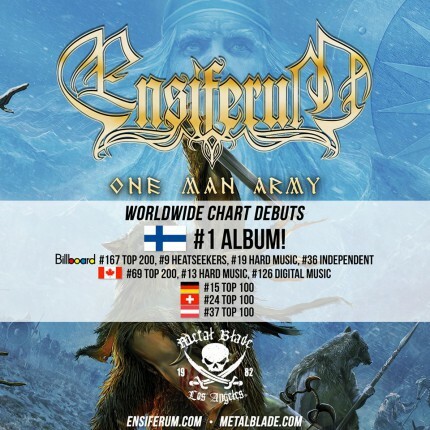 Additionally, ENSIFERUM’s One Many Army has ranked among the top five entries in the iTunes Metal Charts in multiple territories.